Our website design experience is top notch, our team has designed over 600 websites. We think about the small details. Load time, accessibility, search friendliness and more. Our creative design team uses only the best software and materials to design your project. We have a long term outlook for your brand and work with you to move toward your goals. We design websites around commerce. Do you know how your design effects your conversion rate and sales? Do you know what colors convert the best? We do! Our team has successfully worked with over 600 clients. How can we help you on your next web design project? At XLEcommerce, we are web design specialists. All of our design work is done right here in our Toledo, Ohio offices by talented american designers. The projects we work on can range in budget and size from helping a small business owner spruce up their existing site and billed hourly, to full on six figure large design, development, & marketing projects which span the course of months or years. No matter who we work with we treat each and every client with the same professionalism as we do a Fortune 500 corporation. Our team uses top end design software and best practices in a holistic approach to your project. When we attack a clients web design project, we do it from all angles. Have you thought about how your design will effect your brand in 3-5 years? Are your colors consistent across all platforms? Does your design load fast enough to be ranked high? Have you thought about the bandwidth cost to load your site on a client’s phone? Is your design accessible? Have you thought about how your design effects your conversion rate? What message are your colors and images sending subliminally to your clients? Think we just do e-commerce web site design for sporting goods retailers and FFLs? Think again. Our talented team has helped clients in many different industries. Here are just a few: Interior Design, Flower Shops, Boating, Yachting, Medical, Winter Sports, Powersports, Convenience Store, Manufacturing, and more. We have even done behind the scenes work for other advertising agencies. 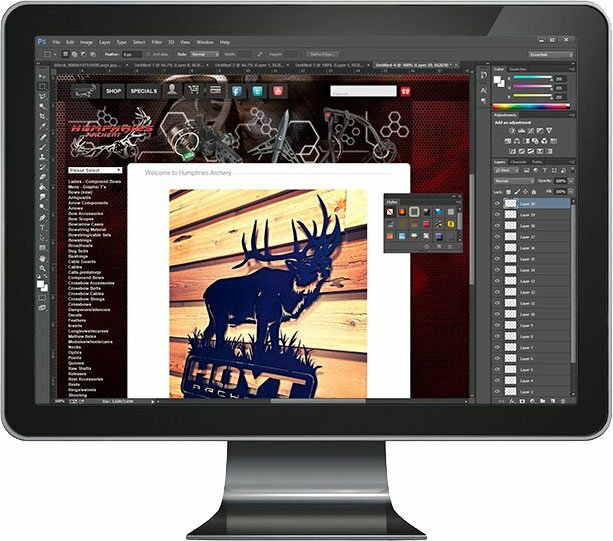 We design all of our websites in your images using professional software and programming. 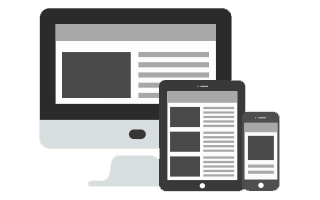 Our designs are made to be responsive so that your website looks great not only on desktop screen but on tablets and mobile phone as well. Let’s talk about your e-commerce site design ideas.